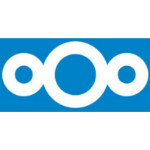 The official Nextcloud VM (Virtual Machine) provided here is the easiest and fastest way to get up and running with your private cloud. The VM was created to make the installation process much easier – so you can set up your own Nextcloud server without any prior Linux knowledge, pre-configured by experienced Nextcloud users. Download this VM, mount it, and you’re all set! Never heard of Nextcloud before? Try the demo to get a feel for it, it’s really neat! #DropDropbox and control your own data instead! We’ve got very positive feedback from our users around the world for our different VMs and this one is no exception. We think it feels good to be able to help others with the same things we struggled with in the past. We were all beginners at some point in time and we know that it’s hard to set up and maintain a webserver. Here is a great guide, done by one of the users of the ownCloud VM but is confirmed to work on the Nextcloud VM as well. Check it out! Nextcloud is soo good, and more people should know about it! Sharing is caring, so feel free to spread the word. We would really appreciate if you share this on any social media, or link this site on any blog or forum.